Audio running time - 1.5 hours, unabridged. Read by Pam Ward. 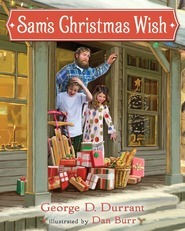 I think this is my favorite Christmas book that I have read this year. I wish I had read this book years ago when my children were still at home. It is full of ideas to draw you closer to Christ. I know I plan to do some of these ideas this Christmas. She has broken down the figure of the Nativity set into seven weeks and each week you draw your family together and learn, share about each figure. What quality and talents each figure means. 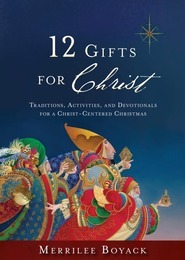 If you only buy one Christmas book each year get Celebrating A Christ-Centered Christmas. I plan to reread each chapter and savor it as I think about what the holiday is all about. The figure of Joseph in that chapter talks about him trying to find shelter for Mary to provide for her. It had a sweet story of giving a gift of service. About the sounds of bells reminding us to give and share what we can. I have a couple of ideas that I want to figure out to do that I got while reading this story A Gift From the Heart by Norman Vincent Peale. So many people I want to give to don't need anything I can afford to give. But giving something in their name to somebody who really can use what I can make is doable. Or giving bells for pockets to remind us to give service to those in need. Not sure what I am going to end up. I need to ponder some more like Mary does. I want to share this book with my family and friends. We all can focus a little more on Christ this Christmas season. I would like to read more books from Emily Belle Freeman especially if it brings a feeling of joy and peace. 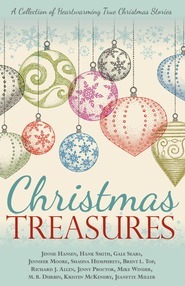 I was given this book so I could give a honest review and be part of Celebrating A Christ-Centered Christmas blog tour. Awesome family traditions for all ages! How do you start Christ-centered family traditions if you didn't grow up with very many? You need Celebrating A Christ-Centered Christmas by Emily Belle Freeman! She has 7 awesome traditions that are centered on Christ that she shares with you. Each tradition is focused on one of the members in the nativity. She shares stories, songs to sing, scriptures from the Bible to read, and activities to do with your family. I love that this book is really for family of all ages. You can adjust the activities so they fit the ages of your children. It's also a great book for anyone who believes in Christ. Celebrating A Christ-Centered Christmas is a quick read that is full of great ideas! I love the feelings I felt while reading this book. It has really gotten me motivated to make sure that our family traditions are more focused on Christ with Santa still there, but just not the main focus. I was excited to review this book with the holiday season upon us. Even more so, to take the time to reflect on and read a lovely book centered on Christ and Christmas. I really appreciated the author's introduction and what inspired her to write this book. I loved how each chapter started with a verse of scripture, and ended with a summary of each tradition with suggestions how to incorporate it in your life. As well as a sweet paragraph describing the tradition. The author's heart-felt stories and ideas make this book all the more enjoyable. I can't wait to start some of these and add to our own family Christmas traditions.